Mission: The Missouri State Rehabilitation Council envisions a society that values all of its members equally and provides opportunities so that people are able to meet their needs, fulfill their dreams, and participate in society. Our mission is to assure that persons with disabilities have opportunities to be as productive as possible by advising Missouri Vocational Rehabilitation that services provided to persons with disabilities are of the highest quality, consumer-directed, responsive to consumer choice, effective, individualized, culturally specific, and relevant to labor market trends. 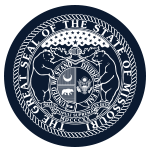 Function: The Missouri State Rehabilitation Council reviews, analyzes, and advises Missouri Vocational Rehabilitation regarding its performance on such issues as eligibility, services provided to consumers, and any other functions affecting persons with disabilities. Member Requirements: the Statewide Independent Living Council; The Missouri Parents Act (MPACT); a client assistance program; a community rehabilitation program; 4 representatives of business, industry, and labor; disability advocate groups; a vocational rehabilitation counselor; a former applicant/recipient of vocational rehabilitation services; a representative from the State Education Agency responsible for the individuals with Disabilities Education Act; a representative of the State Workforce Investment Board; the Assistant Commissioner of Vocational Rehabilitation shall be an ex-officio, nonvoting member of the Council. The client assistance program representative serves at the pleasure of the Governor.